Redistribution details: The 2018 redistribution saw Dunkley lose Mornington to Flinders in the south, but gain Carrum Downs and Sandhurst in the north. This has made it a notionally Labor seat, with a predicted margin of 1.3% to Labor. 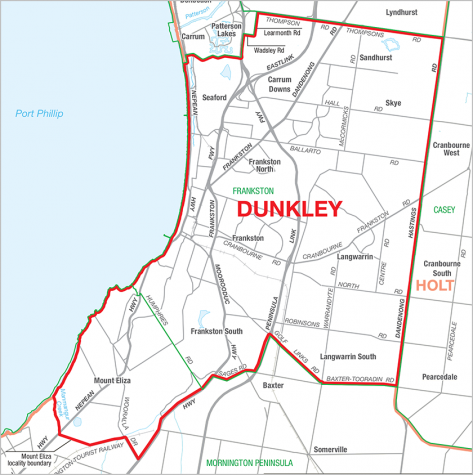 Key Comments: Dunkley is an outer metropolitan seat split between a predominantly Labor-voting north and a strong Liberal-voting south. Despite its marginal status, it has been held by the Liberals since 1996. 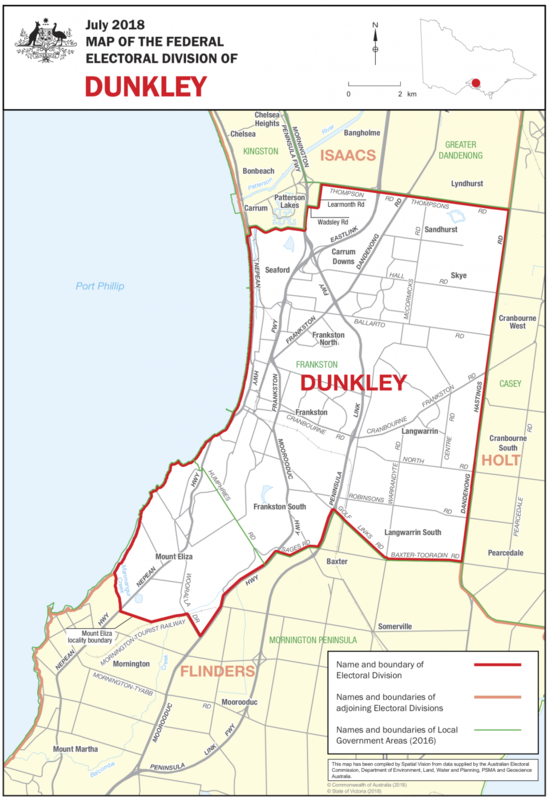 Healthcare is likely to be a big issue as Dunkley contains several hospitals and care facilities, with many employed in these industries.